Need a quick snack or breakfast? 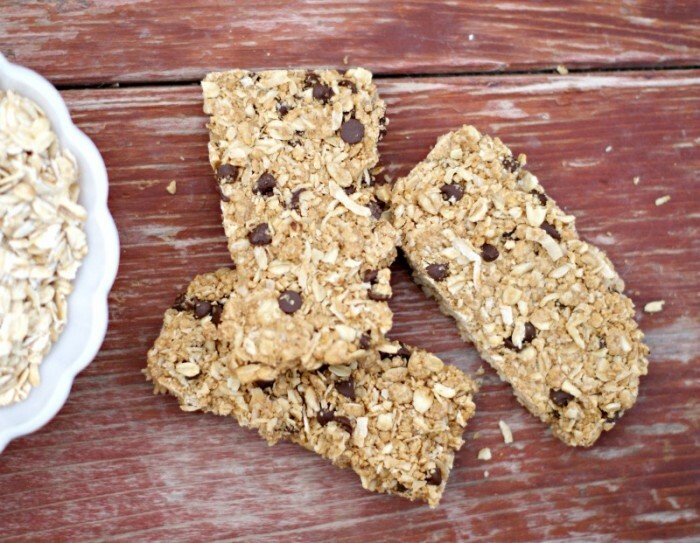 Check out this Homemade Granola Bar Recipe w/ Peanut Butter, Chocolate Chips and Coconut! 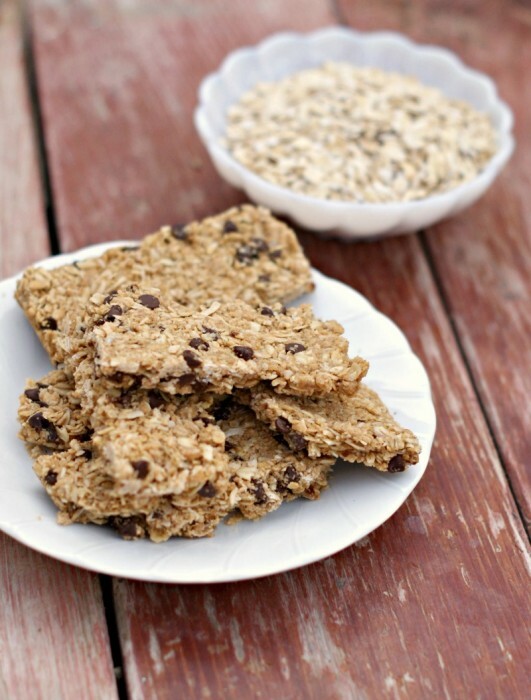 This recipe is easy and makes for a great snack or breakfast on the go! 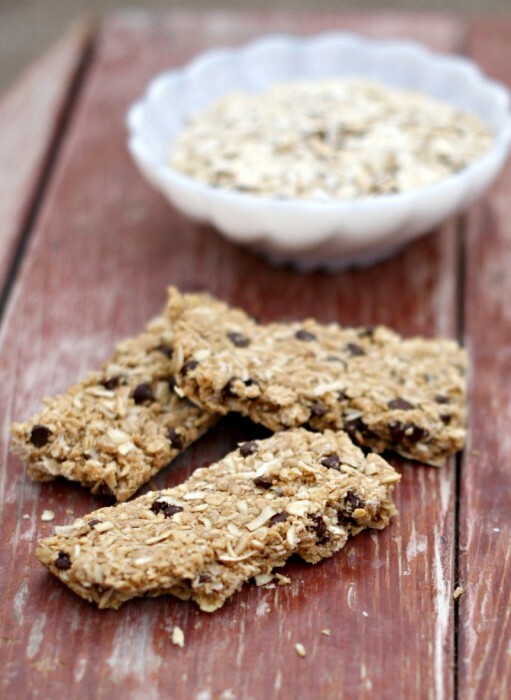 Make them on a Sunday so you and your family can enjoy them throughout the week. 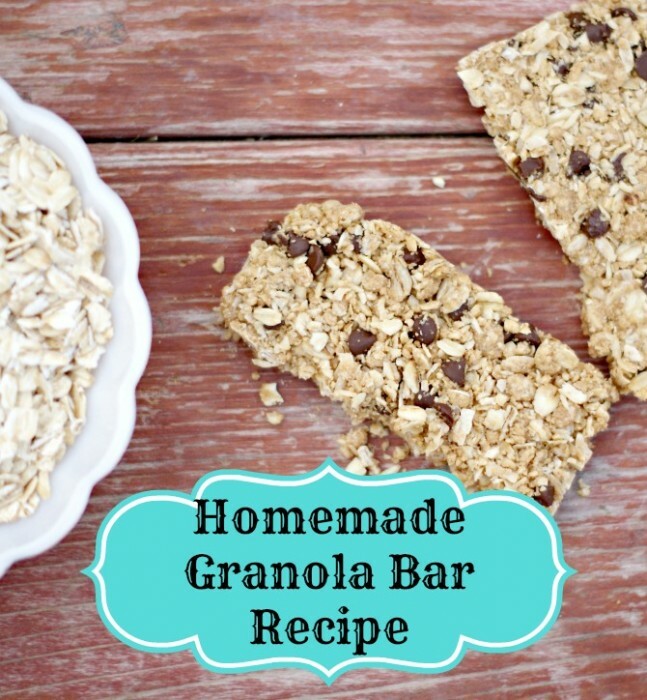 The recipe may break apart a little bit but that’s okay, they can be granola bites!